« Who Will Be The Surprise Of IndyCar 2018? It’s bad that I feel the need to jump on my soapbox just as we are on the eve of a brand new season in the Verizon IndyCar Series. But there is a movement afoot among some of the fan base that I find absolutely mind-boggling. Spewing negativity or not, I feel the need to throw out my opinion on this before this thing gets too out of hand. Not that my opinion carries any weight, but at least I can vent about it here. There is a good chance that for the first time in a few years, there will be more than thirty-three cars entered in this year’s Indianapolis 500. Some estimates are as high as thirty-six cars that may be entered. So what’s the issue? There are many people, some of whom I usually agree with, that are in favor of allowing more than thirty-three to run simply because they don’t want to scare off sponsors that may not want to gamble that their car or driver won’t make the race. The first time I heard this was on Trackside a few weeks ago. Kevin Lee simply said that if there were thirty-four entered, he would prefer to allow that car to start rather than sending only one car home. From there, this movement gathered steam. Most of you can probably figure out where I stand on this without reading any further. Here’s where my age will work against me on this. Many will chalk up what I say as just an old man who hates change, spouting off about the good old days and tradition. That is partly true, but hear me out on this. First of all, I can’t believe this is even being discussed. To be fair, I’ve not heard one single word to indicate that IndyCar or IMS has even considered this. But the fact that some very knowledgeable fans are even talking about this has me puzzled. Graham Rahal put out a poll on Twitter over the weekend to gauge fan’s reaction. He made it clear that he preferred sticking with tradition, but he wanted to hear from fans and see what they thought. If you just looked at the poll numbers, it was overwhelming. Over 4,500 people voted and 82% said to have bumping and start only thirty-three. 18% said to let all entries race. But those 18% were vocal in their opinions. Some of the reasons for allowing everyone to race were varied. Some said they were torn because in this business climate, IndyCar is in no position to be burning bridges. Others said that companies should not have to gamble that their car doesn’t make the race. One suggestion was to let everyone race, but to make only the fastest thirty-three eligible for prize money. Seriously? A few commented to let them all race, but offered no explanation as to why. Fortunately, the comments later swayed to those that valued tradition and wanted to cap the field at thirty-three. I’ll admit, I’m a little slow to move away from traditions. I’m bothered by a slight alteration of the pre-race ceremonies, so imagine how I feel about this. But let’s take my love of tradition out of the equation. After all, as much as I would like to think so; the Indianapolis 500 is not about me, or you or any other fans. It’s about all of those drivers, present and past, who have risked their lives (and sometimes given their lives) in pursuit of the chance to race for the glory of winning the ultimate race against the very best. Let’s look at how history would have been affected had this mindset been prevalent just a few years ago. 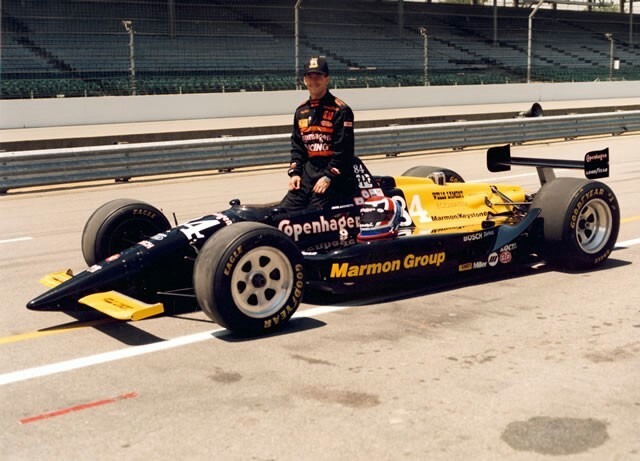 Tony George caused outrage over a decade ago when he casually mentioned that “…thirty-three is just a number”; when faced with the possibility that the Indianapolis 500 might fall short of thirty-three cars in that particular year. Longtime fans were furious, since the race had never started fewer than thirty-three cars since 1928. He might as well have said that milk for the winning driver would be ditched in favor of Pepsi, because that’s what the Pepsi Generation wanted. Those without an interest in tradition will point out that more than thirty-three were allowed to start twice in the post-WWII era. In 1979, thirty-five were allowed to qualify over a convoluted controversy surrounding the wastegate manifold. Some of the CART teams claimed that USAC was changing the rules on the fly and had denied some of the teams a fair attempt to qualify. Rather than go through possible legal action that could affect the entire race, USAC decided to allow those teams a fifth qualifying day. Each car would be allowed to run once. If they could post a time quicker than the slowest car already in the field, they would be added as a fifth-day qualifier. Only the cars of Billy Vukovich II and George Snider were able to post times quick enough to qualify. In 1997, thirty-five cars started again due to controversy. The infamous 25/8 rule that allowed IRL regulars to be locked in, ended up excluding the cars of Lyn St. James and Johnny Unser; both of whom were quicker than eight of the locked in entries. Eventually, St. James and Unser were allowed to race because the Indianapolis 500 had always been about the fastest cars qualifying. It went against the long held traditions of the race to disallow a faster car to run, strictly over sanctioning body politics. This dilemma today is different. There are no lawsuits threatened if the race is limited to thirty-three. There are no traditions threatened if the race is limited to thirty-three. Today we fear that a sponsor may not get involved if there is even a chance they do not make the race. But if you allow more than thirty-three to race in the Indianapolis 500 due to the fear that a sponsor might get mad; you are going down a very slippery slope that could have far-reaching implications. I suggest that if a driver actually needs more motivation than just making the Indianapolis 500, having to face a sponsor at 6:05 on Bump Day might provide the impetus to hang it out just a bit more. 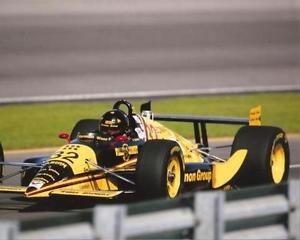 It would have been very convenient for IMS in 1993, to just let Bobby Rahal race as a thirty-fourth qualifier. After all; he was the defending CART champion and a former Indianapolis 500 winner. He ran the full season and he had a major sponsor to satisfy (Miller Genuine Draft). Rahal fans were distraught when he was bumped by Eddie Cheever and failed to re-qualify in 1993. But it was never even remotely considered to bend the rules and let him run anyway. It was the same for Marlboro Team Penske in 1995. Penske drivers Emerson Fittipaldi and Al Unser, Jr. had won the previous two Indianapolis 500s and Unser, Jr. was the defending Indianapolis 500 winner and the defending CART champion. Both cars carried the iconic Marlboro livery and Roger Penske has a way of getting what he wants. As hard as they tried, both Penske drivers were sitting in the Philip Morris suite on Race Day. Do you think they would have liked an exemption made? Instead, with all of his money – Roger Penske never even considered buying his way in by purchasing a pair of qualified cars (which would have been allowed by the rules), much less lobby to have his cars allowed to run anyway. He played by the existing rules and the spirit of the race. To open the Indianapolis 500 to all entrants is an insult to every driver over the past century that ever made a last-ditch effort to put his or her car in the field at the very last minute. Sometimes they were able to succeed, while other times they stuffed it into the fence while trying just a bit too hard. But that’s what making this race means to people. That’s why it’s hard. It’s supposed to be hard. Otherwise there’s no glory in making it. The powers-that-be must also take into consideration of what they would be cheating the fans out of – the pure drama. I’m not talking about the manufactured drama like double-points or the current convoluted qualifying format. I’m talking about the real drama that arises when a driver or team is faced with the possibility of being sent home and told to wait another year. Did you see the look on Al Unser, Jr.’s face when reality set in and he knew he would be a spectator in 1995? That’s the raw drama that multiple attempts and artificial “bumping” cannot replicate. Newer fans may not understand what I’m talking about. The last time we saw any real bumping was in 2011, when Ryan Hunter-Reay was bumped from the field by his teammate Marco Andretti. Andretti had just been bumped from the field by Alex Lloyd. With less than a minute before the gun went off, Marco bumped his way back in at the expense of Hunter-Reay. Within one team you had pure elation and total devastation. Of course, the next day – Michael Andretti bought the second car from AJ Foyt that had already been qualified by Bruno Junqueira and put Hunter-Reay in it. Those are the kind of deals that are within the rules, but not within the spirit of the race – at least in my opinion. It’s thirty-three for a reason. Long ago, it was determined by AAA that there needed to be four hundred feet per car on a track, in order to run safely. That’s where thirty-three came from. Other than the two examples mentioned earlier, have they deviated from thirty-three before? Sure, lots of times. In the first few years, the number of starting cars varied from forty in 1911 to only twenty-one in 1916. Throughout the twenties, the average number of starting cars was around twenty-five. This was mainly due to the increased cost of racing. Cars had gone from stripped down passenger cars to purpose built race cars and few could afford to race. Beginning in 1930, track owner Eddie Rickenbacker opened up the rule book to get rid of the purpose-built race cars and have more cars like could be bought by the general public. This became known as the Junk Formula. He also increased the number of allowed cars. From 1930 to 1933, the number of starting cars ranged from thirty-eight to forty-two. In 1934, it went back to thirty-three and that has been that exact amount of starting cars ever since. This is why there was such an outcry from fans when Tony George said thirty-three was just a number. It’s more than just a number. It’s a tradition that has been held to since 1934 – that’s eighty-four years, if you’re counting. And this is why I’m so perplexed that this would even come up. Sponsorship dollars are harder to come by now, than in the beer & tobacco days of the eighties and nineties. But there was an even greater chance of not making the race then, compared to 2018. To take that to the extreme, in 1982 forty-nine drivers tried and failed to make the race. That means forty-nine drivers had to answer to their sponsors why they failed to be one of the best thirty-three. Forty-nine is abnormally high, but until the 2000’s it was not uncommon to have ten to fifteen drivers each year fail to make the race. Some were on a shoestring budget, but others had some substantial budgets behind them. Were those companies scared? It’s all about setting expectations with the potential sponsors. And if the sponsors are savvy, they know they can wait until the car makes the show before committing the total budget. That’s why you used to see new liveries on cars between qualifying and the race. The sponsors also know that if their car or driver fails to make the race; they can buy space on another car. For example, in 1993 – the Marmon Group (not to be confused with Nordyke & Marmon, builder of the 1911 winner) decided it would be a great idea to sponsor a car playing off of their name. It would be called the Marmon Wasp II, carry the No.32, painted in yellow and black and driven by Eric Bachelart. The problem was, Bachelart failed to make the race. Come Race Day, the No. 84 AJ Foyt entry with John Andretti driving it had sidepods emblazoned with Marmon Group. So to say sponsors are scared of taking a big risk is naïve. Sponsors know the risks, but they also know the payoff. Do you think NAPA is happy they signed on to sponsor Alexander Rossi just a few days before the 2016 Indianapolis 500? I’d say it paid off for both sides. The precedent has been there for a long time. It’s the fastest thirty-three cars. It’s not the thirty-three fastest sponsored cars nor is it the fastest thirty-five or thirty-six. The rule is a hard and fast rule that holds significance to a lot of people, and has for an awfully long time. If you let thirty-six run this year by letting everyone in, what happens if thirty-seven enter next year? Where is the new cutoff point if you abandon thirty-three? Once you’ve broken that rule of limiting the race to thirty-three, you can’t go back. I guess you could, but thirty-three would have no meaning. At that point, it would be just a number. This entry was posted on March 7, 2018 at 4:04 am and is filed under IndyCar. You can follow any responses to this entry through the RSS 2.0 feed. You can leave a response, or trackback from your own site. Well done, George. I too am appalled this is even a discussion. I always respected Roger Penske for not buying his way in to the race in 1995. Sponsors need to come to Indy with the understanding that there is a possibility they may not make the race. I like your idea of a one off sponsor holding back some funds until after qualifying. 33. Some things are more important than money. You must not follow the goings on at 16th & Roundabout lately, because trust me, it’s become ALL about the money out there and it’s embarrassing. Tony Hulman is spinning in his grave in Terre Haute…. I would be interested to know how many cars have qualified without a primary sponsor in the past 20 years. I do believe that the 1997 race started 36 cars, no matter though. I like the traditional 33 but I am also in favor of more options for teams. For example more than 2 oems, more than 1 chassis choice and more than 1 aero kit choice. I believe the Indy 500 should be a race of its own like it used to be. Meaning teams should be able to throw the rule book out of the window as long as it’s safe. I love Indy because of its traditions but starting more than 33 is down on the list of traditions that we have lost. Man, it’s all about the drama, we want to see the drama, the frustration, the agony. The despair of not having a quick enough car. We missed this for a long time, please Indycar, do not take this away from us. I understand the argument for starting more than 33 cars, but I think that’s a tradition that’s important enough that it should be stuck with. I also think that the 18% that voted to run all the cars on Graham Rahal’s Twitter poll, however vocal they might be, is still vastly outnumbered. I’m torn on this one. Of course tradition is nice but it’s impossible to compare the current climate to that of the past. 20-30 years ago there were lots of big name sponsors flocking to racing series and pouring a lot of money in, they could afford to turn some away. Today that is not the case, the majority of the IndyCar field is now sponsored by brands most people have never heard of and getting them to commit to a full season is a rarity. So to finally get one interested and then just turn them away because “tradition” feels like shooting yourself in the foot. So while I feel like starting more than 33 isn’t the right thing to do I also feel like turning away a potential future supporter/sponsor isn’t the right thing to do either because they are so hard to come by nowadays. All I know is that regardless of how many do or don’t start the race I will still be there with the biggest smile of the year on my face and will enjoy every minute of it. I can’t believe these people want to cheapen the 500, by letting anyone that enters a car race! It’s the fastest 33 period. You must earn your way into this race. This is not NASCAR, there is no racing welfare! There must be bumping if we have more than 33 cars. This will be my 58 500, all since 1960. I don’t want to see this race destroyed by this kind of BS. IT WAS ALWAYS THE TOUGHEST RACE TO MAKE, AND SHOULD REMAIN THAT WAY! I get the argument for allowing a few more than 33, I really do. But I do not think it outweighs the spirit of competition at Indy. Making the race is part of the race. One thing to think about, though, is how the series might make simply participating in qualifying more valuable to sponsors. I am not sure I have good advice in that area, though. Getting the qualifying days on ABC, as they have already done, seemed like a good step, but it hasn’t done much for entries until this year. I use this logic with a lot of things in life. If Indy can’t run without appeasing the instant gratification generation, let it die (I know it won’t die but I would rather see lass than 33 than allowing anyone who shows up to race). NASCAR has a similar problem where they have devalued their farm leagues by letting the stars step down, so now everyone says the series will die if the stars don’t run the races; let it die then! The tradition of only the 33 fastest cars being the starting field is all I have ever known so I favor that. (I am 78) While Nascar allows bumping during a race, IndyCar allows qualifying bumping if there are more than 33 entrants and that has led to some very dramatic moments. Having less than 33 entries gets complicated. I have no problem with IMS dipping into their baking powder bucks to help a possible 33rd entry, but the entry would have to qualify at a competitive speed. Not crazy about the fast nine however. 33 is just a number, but a very important one to me and appx 82% of everyone else apparently. The problem with sponsors and bumping seems one that could be fairly easily rectified, but the Devil is always in the details. If we are to assume up to 3 cars get bumped for 2018, it seems that sponsors could be more easily assuaged by having a contingency to move their $$$ to a car that has qualified. I’m sure contractually it’s far more complicated than this but it would only make sense to keep interested sponsors ‘in the game’ one way or another without depreciating the major traditions of the event. For bumped cars, I could possibly see a “minimum attempt payout” to entries to recoup a fraction of the costs absorbed, while also allowing a bumped sponsor to become a free agent and take the difference of that minimum and what remains owed to the owner of a bumped car to a qualified car. Let’s say a primary sponsorship for a minimal/qualy-week-only entry costs $500k. If a primary ponies up $500k, and gets bumped, the bumped entrant gets, say, $100k which is either for the car owner to cover basic expenses or owed to the sponsor (depending on the contract). Once bumped the sponsor takes $400k to another entry. Again I realize this is beyond simplistic, but if not already in place, it seems a workable solution to satisfy sponsors could be developed while maintaining the integrity of the field of 33. George, I was on the fence on this one but you swayed me to vote to keep it at 33 starters. I could take all day to tell stories about the drama in the pits in the last hour of qualifying back in the 70’s when I was covering the action from the qualifying line. Keep the starting field at 33 and watch the entry list grow – if engine leases are available. I know you realize how long many of us have waited for “bump day” to mean something again. Just as it looks like we are approaching again where 35+ cars will battle for 33 spots, they want to take it away from us? Say it ain’t so! Qualifications have already been badly damaged though these stupid changes the last few years. This change would pretty much finish off qualifications. Now it the time to at least move Pole Day back to Saturday, using the rules as they were 10+ years ago, and make Sunday Bump Day. 1. more than 33 is a possibility. 2. less than 33 is as well. 3. ok to race either way. The ill-handling Dragon Racing entry that Scott Speed ran in practise that was later crashed by Patrick Carpentier had Fuzzy’s all over the car, now the primary sponsor of Ed Carpenter Racing. I don’t remember the name of the sponsor which was on the car of Sarah Fisher Racing when Jay Howard failed to qualify but I do remember seeing their logo again, this time making the field. Also, the sponsors on Paul Tracy’s car during his bump day drama did return to the Speedway. I’m not so sure who sponsored Michel Jourdain, Jr. when he failed to qualify for Team Rahal in the early 10s. But without a Mexican driver in the series, I guess they did not return. What other sponsors of bumped cars can you think of who did return to the Speedway to eventually make the race?